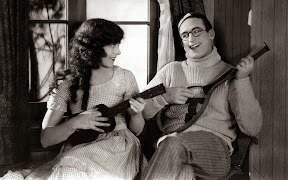 You can tell a lot about a man by the way he shaves and this is especially true in the films of silent comedy star Harold Lloyd whose pictures often cast people as archetypes (including Lloyd’s most famous onscreen alter ego “The Glasses Character”) rather than individuals with given names. 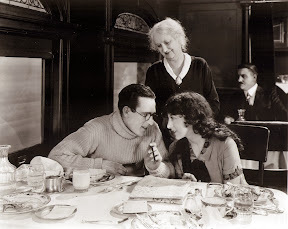 Yet whether it was in one of his many one of two reel short films or a feature presentation, thanks to some of the wittiest screen cards of the silent movie era, Lloyd’s writers were able to ensure that the supporting characters remained both memorable and instantly identifiable against the odds. 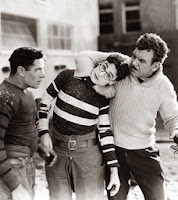 By understanding the comedic potential of written jokes worked into the traditionally bland scene headings, introductions and narrative description that filled the screen with text to help fill the gap of inaudible dialogue, Lloyd's pictures – even more than those of his two main colleagues and cinematic competitors Charlie Chaplin and Buster Keaton – kept you laughing between the awe-inspiring scenes of silent movie action. 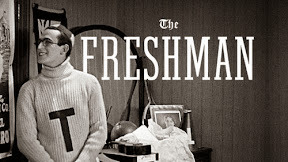 Whether we’re being told everything we need to know about a new character’s personality with the clever qualifier that the man shaves with a can opener or a blow torch or they’re describing the new university Lloyd’s character Harold Lamb attends in his most successful picture The Freshman as “a large football stadium with a college attached,” his films impress that much more. And thanks to the extra layers of description worked into the frames, we’re transported that much faster into the exact mindset needed to best appreciate the admirable sophistication of the multifaceted movies. Leaving his Chaplin/Tramp inspired early characters Lonesome Luke and Willie Work behind him, 1925’s Freshman followed up the potent one-two punch of classic pictures that preceded it including the mind-boggling “thrill picture” Safety Last! in 1923 that found Lloyd hanging from a giant clock and 1924’s comical Girl Shy which like The Freshman was also directed by Fred C. Newmeyer and Sam Taylor. 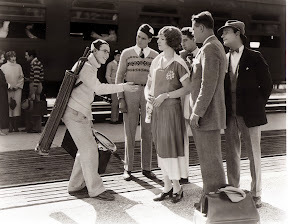 Already responsible for setting off a horn-rimmed glasses craze of film fans who wanted to look like their favorite star, The Freshman likewise kicked off a new wave of college pictures in the mid to late 1920s, going onto inspire Buster Keaton to visit the popular terrain in his 1927 feature College. 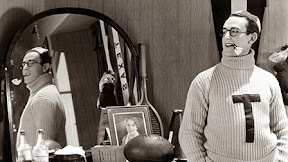 Following the same formula of a young man’s coming-of-age journey or quest for success that’s nearly always epitomized by his Glasses Character’s adventures after leaving one place to find out what’s waiting for him in another (via the city or the old west etc.) – although on the surface, The Freshman is structurally similar, it was somewhat bolder than his other fare. In addition to exploring the limits of stunts and physical sequences in his other films as well as the emphasis on better written, witty joke-ready narrative scene cards, Lloyd also sought to investigate the impact the film medium could have on its audience by way of his naïve, aptly named impressionable main character Lamb. Illustrating the change in times in a move that was not only ahead of its time but still timely today, Lloyd’s Lamb buys into the manufactured happy endings he sees on the silver screen – obsessively watching a college-themed “Big Man on Campus” style feature multiple times to prepare him to become what he hopes will be the most popular student at school. Doing more than just copying the actor’s wardrobe, Lamb rehearses a complex jig routine to perfection and begins calling himself Speedy after the man onscreen. After buying friendship with ice cream and lavish parties, Lamb learns much too late that the other students were only using him for their amusement by laughing at Lamb behind his back. 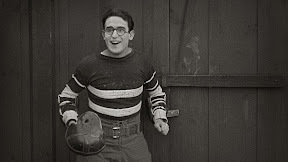 Finally discovering the vital lesson that being himself is much better than pretending to be a movie character (which is likewise reinforced by his adorable onscreen love interest played by Jobyna Ralston), Lamb gets one last chance to show his true colors and school spirit in an epic football game in Freshman's dazzling final act. 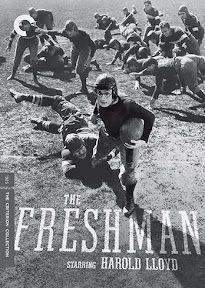 Although the big game finale feels contrived in retrospect given how much the device is used onscreen today, it's so well-choreographed that it still manages to impress nearly ninety years later in this gorgeous high definition restoration and Blu-ray presentation of The Freshman, which likewise inspires awe from start to finish. Removing the old vintage film reel sounds of “snap, crackle and pop” and cleaning up any scratches, dirt and debris so that the images are virtually spotless, The Freshman rivals the recent Criterion release of Jules and Jim in terms of sheer technical quality. A must for film fans, the three-disc box set which includes the work on two solid DVDs as well as the sparkling Blu-ray also boasts an informative critical essay and photo filled booklet with technical notes on the restoration and countless bonus features including three Lloyd shorts. Recently restored to varying degrees of success, while 1919’s The Marathon suffers from a bit of racial insensitivity in an otherwise stellar production, the grainier yet more briskly paced two-reel western parody An Eastern Westerner made in 1920 is also notable for pairing him up with his future wife and frequent costar Mildred Davis. Serving up new orchestral scores composed and conducted by Carl Davis throughout the films, the jaw-droppingly impressive final 1920 short “High and Dizzy” directed by Hal Roach is not only one of Lloyd’s most famous early “thrill pictures” but also helped anticipate the gags he would perfect three years later in Safety Last!. 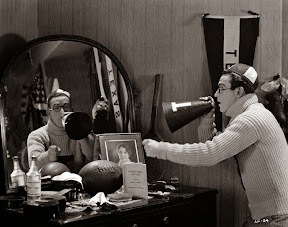 Incorporating vintage interviews and television clips including Lloyd’s own introduction to the film and a tribute to the comedic actor featuring Steve Allen and Jack Lemmon,Criterion's Freshman set also offers behind-the-scenes commentary by scholars, archivists and critics to shine new light on his classic work. 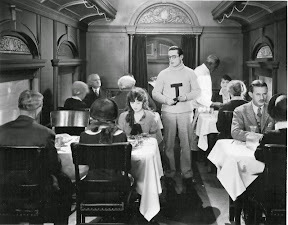 A wonderful introduction to the man so often overlooked in contemporary film buff debates that far too often fixate only on a Chaplin vs. Keaton silent film star preference, The Freshman once again reminds the world why Harold Lloyd is worth remembering…regardless of the way he shaved.